The care provided by family doctors in New Zealand is partially subsidized by the Ministry of Health but in most cases, patients are still required to pay a co-payment directly to the doctor at the time of service delivery. This fee is independently set by the GP and can vary between service providers and geographical areas. Most New Zealanders are now enrolled with GPs who are part of a Primary Health Organization (PHO). Being enrolled in this way usually means the GP can provide lower cost visits while maintaining a high level of services to those patients. Some practices may also provide free standard consultations for children less than six years. With a long history of primary contact care and highly effective systems of injury management such as the McKenzie and Mulligan concepts of care, New Zealanders often opt for direct care from a Physiotherapist reserving medical visits for health issues of a non-musculoskeletal nature. Many New Zealanders generally view physiotherapists as the primary care practitioner of choice for musculoskeletal injuries and functional disabilities. Post-graduate training in orthopaedic manipulative therapy has been the public’s expected professional standard of practice for over thirty years. Paying the doctor’s co-pay only to be referred to a Physiotherapist who will usually perform a much more thorough assessment, provide effective treatment and will charge for their services is generally viewed by New Zealanders as a redundant exercise in gate keeping on the part of the medical community. Under the New Zealand public hospital policy, services provided by outpatient or in-patient publicly funded hospital-based Physiotherapy services may only be provided if a doctor’s medical/surgical referral has been made. Waiting lists based on individual client need and not ability to pay, make access to these publicly funded services a second line option for those with either private insurance or the ability to self-fund Physiotherapy care through private community-based Physiotherapy clinics. Private hospitals offer access to medical and surgical care for those wishing to access health care services outside the publicly funded system. Such private medical services are used to avoid the wait times inherent in the public system. Inpatient Physiotherapy services in private hospitals are available however limited as hospital stays are generally brief with an expedient discharge to the community a priority to both consumer and insurers. 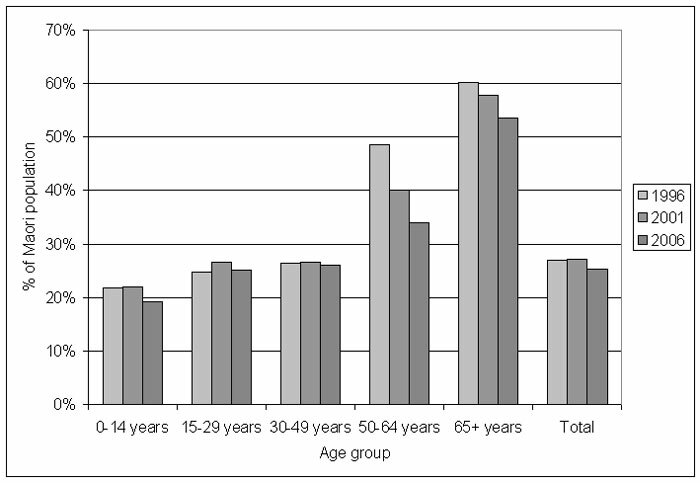 This web site offers further details of New Zealand health statistics. Prospective Physiotherapists undertake a four-year Bachelors degree programme from one of the two New Zealand university-based schools of Physiotherapy. Entry to these programs may be achieved directly from secondary school however acceptance to these programs is highly competitive with many candidates often having several years of university science training prior to entry. The New Zealand Physiotherapy education programs include in-depth training in assessment, diagnosis and treatment of injuries and medical conditions and also includes a minimum standard of 1,000 hours of supervised clinical experience prior to graduation. The two schools of physiotherapy in New Zealand are based at the University of Otago in Dunedin in the South Island and at the Auckland University of Technology on the north shore of Auckland in the North Island. Successful students of both schools graduate with a Bachelor level degree that entitles an entry to practice registration with the New Zealand Board of Physiotherapy. Prior to 1991, Physiotherapists graduated with a Diploma in Physiotherapy. Practitioners holding such qualifications may continue to be registered with the Physiotherapy Board of New Zealand and practice without restrictions. All Physiotherapists practicing in New Zealand must be registered by the Physiotherapy Board of New Zealand and hold a valid Annual Practicing Certificate (APC) issued by the Physiotherapy Board of New Zealand. To obtain and retain an APC, each Physiotherapist must produce evidence of continuing competence through ongoing professional education. The New Zealand Board of Physiotherapy has developed a self- assessment tool for overseas trained Physiotherapists interested in obtaining an annual Practicing Certificate . Australian trained Physiotherapists may take advantage of the "Trans-Tasman Mutual Recognition Act", 1997 which provides a special registration process for Physiotherapists who are qualified to practice in Australia. Individuals wishing to learn more about working in New Zealand and registration requirements will find this link of significant interest. This site lists New Zealand jobs and courses of interest. Many Physiotherapists continue to seek post-graduate qualifications in various sub-specialties of Physiotherapy. The New Zealand College of Physiotherapy Incorporated was established in 1993 to foster, promote and recognize the highest standards of education and clinical practice in all fields of Physiotherapy. The College is an independently incorporated society with close links with Physiotherapy New Zealand (formerly the NZ Society of Physiotherapists), which provides office space and other administrative backup services to the College but maintains an arms length relationship. Membership in the College has been consolidated and redefined effective January 1, 2011. There are two categories of active membership - Member /Advanced Practitioner (MNZCP) and Fellow (FNZCP). All Members and Fellows must attain a specified level of continuing education to maintain their status within the College. Independent College assessors check Member and Fellow learning logs regularly. College Members and Fellows may submit their logbooks electronically, or in any format convenient to them provided the instructions on the official College logbook are followed. Peer review is seen as an important aspect of professional growth and the College encourages its members in this direction. Regular peer review is required to maintain both Membership and Fellowship in the College. [www.physiotherapy.org.nz/Category?Action=View&Category_id=232 The New Zealand College of Physiotherapy] strongly supports the World Confederation of Physical Therapists (WCPT) and it is Physiotherapy New Zealand policy that only those who successfully complete a professionally prescribed educational and clinical programme run by a formally constituted Physiotherapy organization should be entitled to call themselves specialists. The NZ College of Physiotherapy has been active in promoting the recognition of Specialist Physiotherapist status to both the New Zealand public and medical colleagues. Post-graduate Masters level qualifications may be achieved in orthopaedic manipulative therapy through both the University of Otago in Dunedin in the South Island and the Auckland University of Technology in the North Island of New Zealand. Additionally, Masters level degrees are offered in various Physiotherapy specialties including Mechanical Diagnosis and Therapy, Acupuncture, Sport Physiotherapy, Neurological rehabilitation and Occupational Health are offered either the Otago University and AUT campuses. Physiotherapy New Zealand is the professional body that advocates for the Physiotherapy professional at national governmental, public and international levels. Physiotherapy New Zealand is affiliated with the World Congress of Physical Therapy (WCPT) and has multiple sub-specialty interests groups including; manipulative therapy, women’s health, acupuncture, sport physiotherapy, neurological rehabilitation and musculoskeletal rehabilitation . The Physiotherapy Acupuncture Association of New Zealand (PAANZ) is a Special Interest Group of Physiotherapy New Zealand. It provides ongoing learning, peer support and development of the clinical practice of acupuncture in New Zealand . The demographics of New Zealand are characterized by a relatively young and growing population and relatively high levels of inbound migration (traditionally from the United Kingdom but more recently from Asia and the Pacific islands) and outbound migration (mainly to Australia and the United Kingdom). The ethnic makeup of the population, originally composed of indigenous Maori only, was dominated by European settlers for most of the 19th and 20th centuries, until immigration from Asia and the Pacific Islands, as well as high Maori birthrates, started to shift this state to a more multi-ethnic mix. New Zealand's current population is approximately 4,926,400 with the largest segment in the 15 to 64 year old age group and a mean national age of 36 years. Life expectancy is currently 79.5 years for males and 83.2 for females . Of special importance in any discussion of health concerns to New Zealand is the issue of Maori health. In 2010, there were an estimated 660,000 Maori in New Zealand, making up roughly 15% of the national population. They are the second-largest ethnic group in New Zealand, after European New Zealanders. In addition, there are over 100,000 Maori currently living in Australia. The Maori language is spoken to some extent by an estimated quarter of all Maori, and 4% of the total population, although many New Zealanders regularly use Maori words and expressions in normal speech. Many New Zealand place names and expressions are of Maori origin. Maori are active in all spheres of New Zealand culture and society, with distinct representation in areas such as media, politics and sport. Maori are fully integrated into New Zealand society with no indigenous reservations system as found in native populations in North America and Australia. Intermarriage between Maori and Europeans is common with societal stigma being uncommon and discriminatory policies or behaviour being deemed unacceptable by the majority of the population. The Maori population does however face significant economic and social obstacles, with lower life expectancies and incomes compared with other New Zealand ethnic groups, in addition to higher levels of crime, health problems and educational under-achievement. Governmental socioeconomic initiatives have been implemented aimed at closing the economic, educational and health gaps between Maori and other New Zealanders. Political redress for historical grievances is also ongoing process. 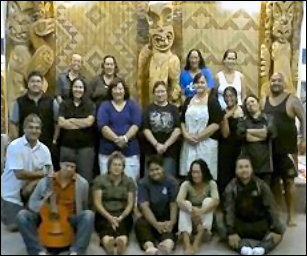 Recognizing the need for special consideration of the nuances of Maori health, Physiotherapy New Zealand has developed Tae Ora Tinana which is the Maori partner of the New Zealand Society of Physiotherapists and represents Maori Physiotherapists, Maori Physiotherapy students, and Maori Physiotherapy assistants. Further details of this unique attempt to develop an enhanced cultural competency initiative can be found at this link .Further details of Maori health priorities can be found at this link. As previously noted, Maori health is considered a major issue in New Zealand. He Korowai Oranga – Maori Health Strategy sets the direction for Maori health in the national health strategy with the overall aim of whanau ora: where Maori families are supported to achieve their maximum health and well being. Whanau, hapu, iwi is the strategy wherein community development is fundamental to the Maori Health Strategy. The Whakatataka Maori Health Action Plan has focused on implementing this strategy. 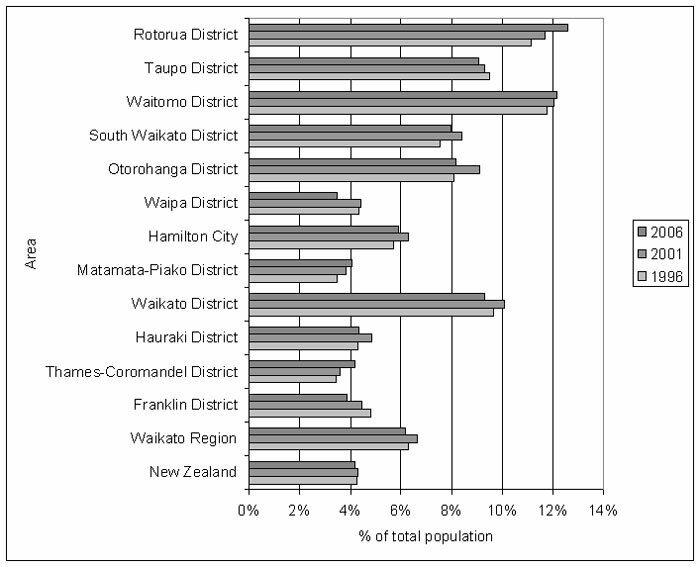 Whakatataka recognizes that the whole of the health and disability sector is responsible for improvements in Maori health and disability outcomes as although there has been a growth in the number of Maori providers this still remains a priority as a high proportion of Maori continue to access mainstream health and disability services. A large percentage of Physiotherapy services in New Zealand are provided by small owner/operator community-based clinics or as typically termed “Physiotherapy practices”. Advocacy groups such as the New Zealand Private Physiotherapy Practice Association support the small practices that have chosen to be members of this special interest group of Physiotherapy New Zealand. This organization provides leadership and public advocacy for its members as well as listing practices for sale, locums wanted/available and provides various group discounts on insurance and product discounts for its members. More recently, larger Physiotherapy practice groups have been developed. These larger groups of practices employ Physiotherapists on a fee for service or salary basis and offer an alternative to those not wishing to take on the risks and burden of being an owner/operator. Physiotherapy practices are located in medical centres, professional buildings, community exercise facilities and schools, but most typically a store-front type operation in a community retail district or suburban strip malls. New Zealanders may access Physiotherapy services directly without medical referral with minimal wait time for assessment, as the market is highly competitive. Physiotherapy assistants play a minimal role in patient treatment in smaller private practices but may be used for some roles such as exercise monitoring, ambulation and general practice maintenance by larger group practices. 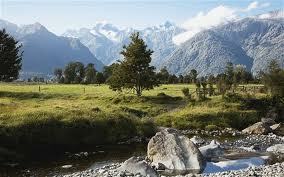 New Zealanders have an extensive health service available to them with approximately 445 hospitals in New Zealand. Approximately 85 of these hospitals are publicly funded and administered by District Health Boards (DHBs). The New Zealand Ministry of health web site has more details of DHDs and therei functions. The majority of essential medical care services are provided with no direct cost to New Zealand citizens through the public health system (excluding dentistry and optometry) however most hospital doctors (specialists) can only been seen after referral from the patient’s family doctor who acts as the medical gatekeeper. Public hospitals provide medical care throughout all regions of the country. Most public hospitals employ Physiotherapists to serve the needs of in-patient medical and surgical patients. Many but not all public hospitals also offer outpatient Physiotherapy services to the local community. These services are provided at no direct cost to the patient however are limited to those with a demonstrated health care need and may be subject to a waiting list based on medical need with at risk populations receiving priority entry. New Zealand has a public health care system wherein health services delivered at any one of the public hospitals including outpatient and inpatient Physiotherapy services are delivered at no direct cost to the consumer. Services are delivered on an as-needs basis with priority given to those with the greatest needs. Additionally, New Zealand residents and visitors enjoy the benefits of a universal insurance scheme administered by the Accident Compensation Corporation (ACC). Instituted in 1971, this no-fault insurance program covers the costs of treatment and rehabilitation for all care required to recover from physical, emotional and psychiatric impairments including those resulting from motor vehicle collisions, work duties, sports and all other causes of accidental injury occurring in New Zealand. Income replacement benefits to injured individuals recovering from such injuries are provided for by this employer-sponsored fund. The right to sue for pain and suffering as well as income loss from personal injury in New Zealand has been fully eliminated by this scheme. Physiotherapists are one of the health professions allowed to sign ACC entitlement forms with funding for Physiotherapy services being paid on a fee for services basis. The attending Physiotherapist may choose to surcharge the patient above the approved ACC rate of payment. Patients have the right to change service providers at any time and competition keeps surcharge fees within most individual’s financial means. Physiotherapy services may also be delivered to clients outside the ACC payment program when no specific accidental injury event can be identified. Treatment fees for degenerative conditions such as hip and knee osteoarthritis, men’s/women’s health and many non-musculoskeletal Physiotherapy interventions are charged to the patient directly. 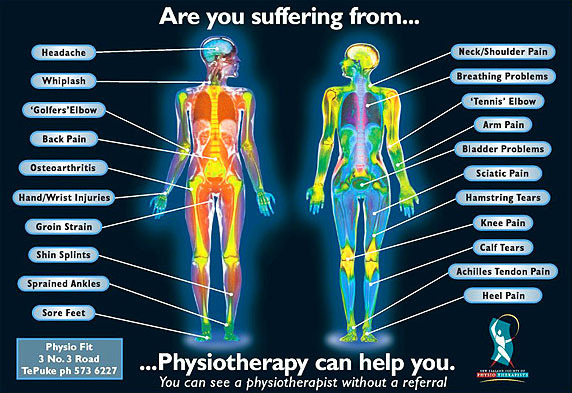 Typical private pay fees are $75.00 NZD per booked Physiotherapy appointment. Many New Zealanders carry personal extended health insurance and may submit their Physiotherapy treatment costs to the third party insurer for reimbursement. Physiotherapists typically do not bill the extended health benefit insurer directly and as such are primarily accountable to the patient. Although comprising only a small overall number, New Zealand Physiotherapists have been recognized as having contributed significantly to the development of Physiotherapy at the international level with names such as Mark Laslett, Kevin O’Sullivan, Michael Monaghan, Robin McKenzie, Susan Mercer, Duncan Reid, Joan Walker, Stanley Paris and Brian Mulligan being recognized as leaders in their respective fields. The profession of Physiotherapy in New Zealand is continuing to expand its scope of practice with enhanced practice opportunities for the ordering of medical imaging, medical laboratory analysis and expanded scope positions being developed. Physiotherapists practicing in New Zealand enjoy an enviable position in their communities with the profession viewed as a desirable occupation of stature and respect by New Zealand society at large. ↑ 1.0 1.1 1.2 Physiotherapy Board of New Zealand. Scopes of Practice. Avaliable from https://www.physioboard.org.nz/i-am-registered/scopes-of-practice (accessed 27 February 2019). 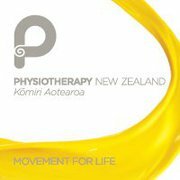 ↑ Physiotherapy New Zealand. About us. Avaliable from https://pnz.org.nz/aboutus (accessed 27th February 2019).